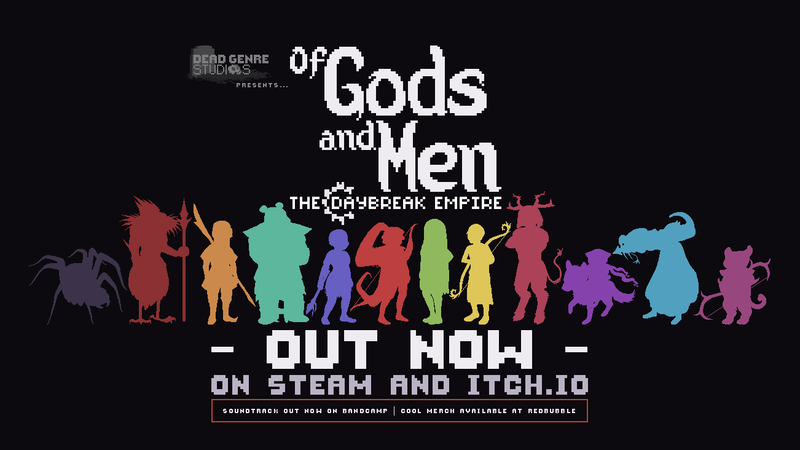 Of Gods and Men: The Daybreak Empire, the retro story-driven turn-based tactics game, is out now! Conquer the world in this love letter to classic strategy games! This is the first release from our Vancouver based Dead Genre Studios. It is a turn-based strategy RPG in the pixel art retro style of classic tactical games from the 90s and early 00s. We’ve mixed unit-based tactical combat, overworld territory management, and a rich story-driven campaign in a unique fantasy world. For the first week you can grab it for only $4.99 USD on Steam or right here on itch.io!